Healing of the human condition Once you taste this book you are hooked. Crisis: Identity is not just another book, it is a must have for each person who desires to unlock the door to personal identity and awareness. Soak your feet in the river of knowledge that is placed in the God-code for your life. Within these exciting pages find practical guidelines and models to help work through pain and disappointment that often manifests in negative behaviours. The sadness that is a tell-tale sign of a dysfunctional home will melt away as page after page opens the door to discover the possibility of a renewed self. Then, inhale the wonderful breath of relief as you become captivated by the wonder of your new identity. Delta McNeish is an ordained Minister, and a Chaplain/Counsellor. She is also a certified marriage counsellor (CMC) with the Evangelical Order of Pastoral Counsellors of America she is recognized as a General Practice Psychotherapist (GPP) by the Canadian Christian Clinical Counsellors Association, has recently obtained a Masters degree in Counselling from California State Christian University and is presently studying for her doctorate. 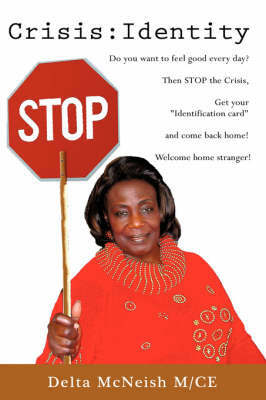 Crisis: Identity, Delta's first book, shows how she recovered from abuse using the strategies that she now passes on to clients. Delta has set forth realistic models that can guide anyone to a better life style, or be used by those in the counseling profession to help their clients. Buy Crisis by Delta McNeish from Australia's Online Independent Bookstore, Boomerang Books.